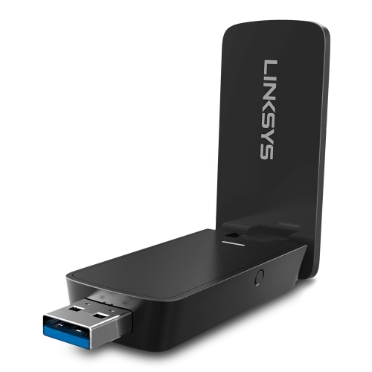 The Linksys WUSB6400M AC1200 MU-MIMO USB Wi-Fi Adapter is a dual-band wireless adapter that upgrades your Windows®-based laptop, MacBook® or desktop computer to the latest Wi-Fi standard. With this Next-Gen AC MU-MIMO USB Wi-Fi Adapter, you’ll have a faster and a more reliable Internet connection on your computer. NOTE: To view the LED, the flip antenna must be open.